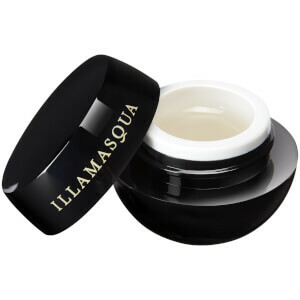 Achieve an expertly contoured look with the Sculpting Face Powder Duo from Illamasqua. Combining a neutral matte shade for sharp definition, and a shimmering champagne hue to highlight and illuminate your favourite features, the blendable, buildable powder can be used dry for a natural finish, or wet for more intense colour. Housed in a mirrored compact for easy application on-the-go. Suits all skin tones. Sweep Heliopolis along cheeks to define, then dust Lumos to highlight. Use dry or wet for a bolder colour pay-off. Can also be used as an eyeshadow. Heliopolis: Talc, Boron Nitride, Zinc Stearate, Ethylhexyl Palmitate, Trimethylsiloxysilicate, Dimethicone, Aqua (Water, Eau),&Nbsp;Sodium Benzoate, Potassium Sorbate, Titanium Dioxide (Ci 77891), Iron Oxides (Ci 77491, Ci 77492, Ci 77499). Lumos: Talc, Dimethylimidazolidinone Rice Starch, Mica, Aqua (Water, Eau), Magnesium Myristate, Propylene Glycol, Octyldodecanol,&Nbsp;Isopropyl Myristate, Glyceryl Stearate, Phenoxyethanol, Peg-150, Ricinus Communis (Castor) Seed Oil, Cetearyl Alcohol, Silica,&Nbsp;Quaternium-26, Methylparaben, Glyceryl Ricinoleate, Cera Carnauba (Copernicia Cerifera (Carnauba) Wax, Cire De Carnauba),&Nbsp;Candelilla Cera (Euphorbia Cerifera (Candelilla) Wax, Cire De Candelilla), Ethylparaben, Sodium Cetearyl Sulfate, Stearic Acid,&Nbsp;Cera Microcristallina (Microcrystalline Wax, Cire Microcristalline), Propylparaben, Tetrahydroxypropyl Ethylenediamine,&Nbsp;Paraffinum Liquidum (Mineral Oil, Huile MinÉRale), Cetyl Alcohol, Cera Alba (Beeswax, Cire D&Rsquo;Abeille), Parfum (Fragrance), Mica,&Nbsp;Calcium Aluminum Borosilicate, Silica, Tin Oxide [+/- May Contain / Peut Contenir: Titanium Dioxide (Ci 77891), Iron Oxides (Ci&Nbsp;77491, Ci 77492), Carmine (Ci 75470)].